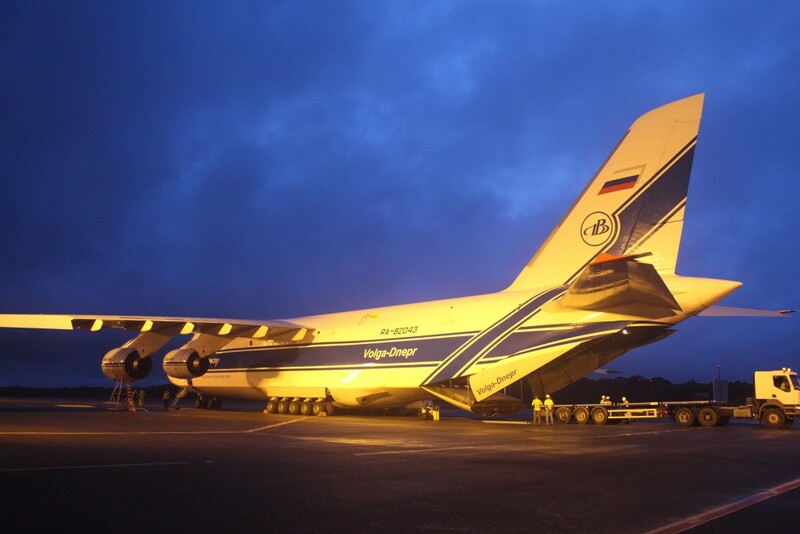 Pouring rain and very warm equatorial temperatures greeted the huge Antonov cargo plane carrying Sentinel-2 when it touched down at Cayenne airport in French Guiana yesterday. The team had a very early start as they were there by 06:00 (local time) – ready and waiting to unload the precious cargo. 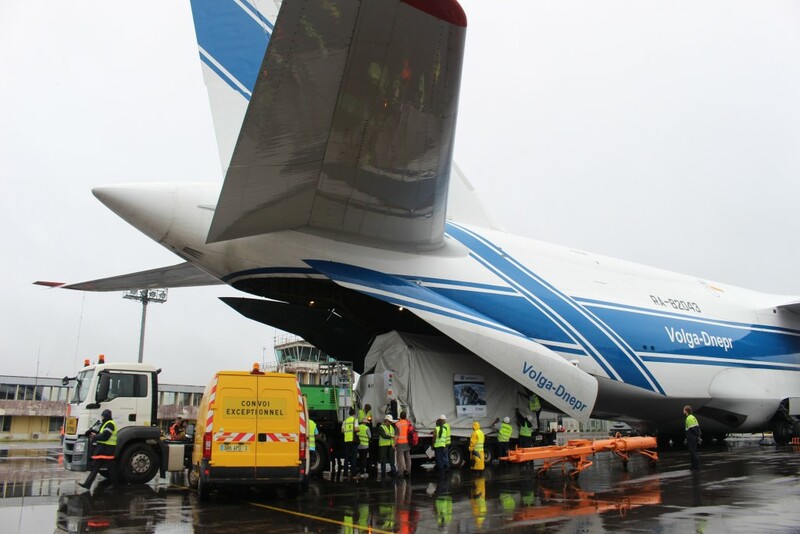 Four containers in all were carefully positioned on trucks for the journey to Europe’s Spaceport in Kourou about 60 km away. 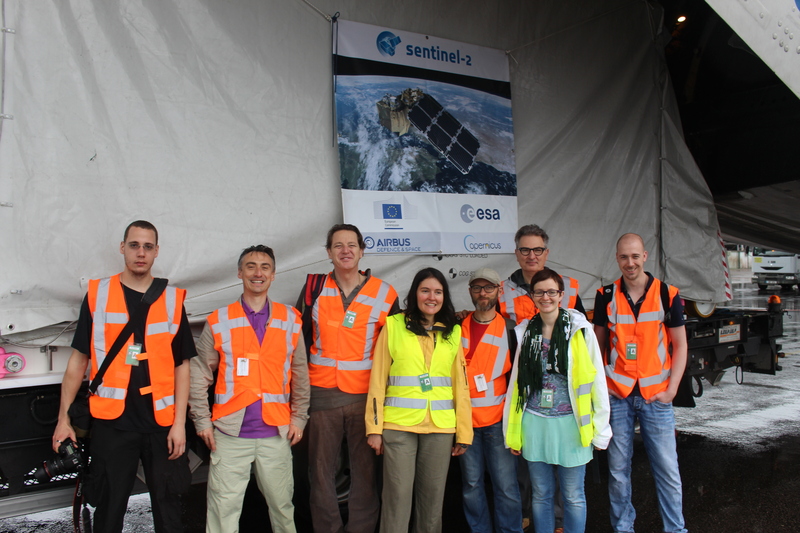 The last container held the Sentinel-2 satellite. Before the convoy left the satellite’s air conditioning was connected. Arriving at the Centre Spatial Guyanais (CSG) around 10:45, the convoy headed for ‘S5’ – the area where the cleanroom and the team’s offices are located. 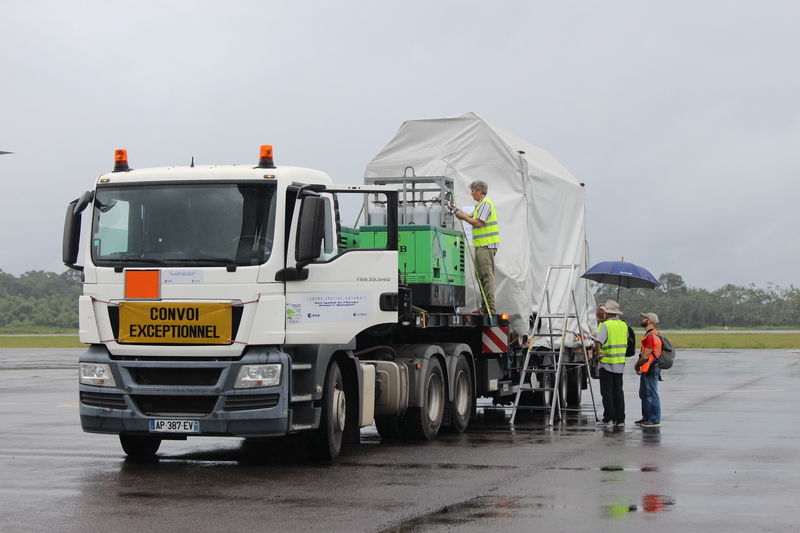 Here the satellite container was moved to the airlock where the tarpaulin was removed and the container was cleaned. 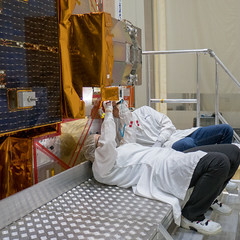 The ‘weather’ in the airlock was set to that of the cleanroom after which the container was rolled into the cleanroom and left to rest overnight. Today, the container will be opened and the satellite will be checked before the full testing programme starts to ready it for launch.